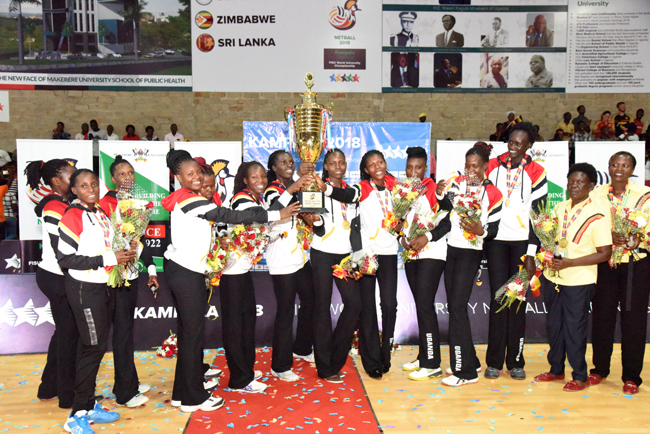 Hosts Uganda made a late recovery to upset favourites South Africa in the World University Netball Championship. Uganda edged the Spar Proteas 44-43 in the final minutes of the tension packed final at Makerere University’s new indoor facility on Friday. Towering goal shooter Mary Nuba was the day’s heroine as she made the decisive shot that gave Uganda the title. “I have never felt better. This is the best day of my life,” Nuba, who stands at 6ft 7in stated at the end of the final presided over by the Prime Minister Ruhakana Rugunda. South Africa were downcast as they surrendered the title they won in the second edition of the biennial championship in 2016. England won the inaugural edition in Cape Town, South Africa in 2012.